The Asia Pacific Entrepreneurship Awards recognizes 18 leading entrepreneurs in the Philippines. 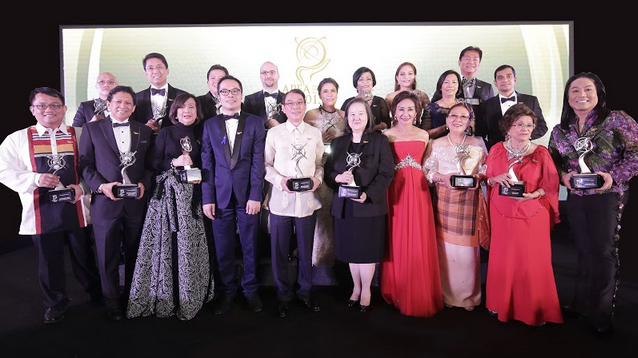 Eighteen entrepreneurs and business leaders from the Philippines were named awardees of the Asia Pacific Entrepreneurship Awards 2015 at a glittering gala dinner held at the InterContinental Manila, Philippines. Over 250 attendees were present at the by-invitation only event, comprising of industry leaders, leading entrepreneurs, dignitaries, and the who's who of the business world, including Gwendolyn Garcia, District Representative of the 3rd District of Cebu and advisor to Enterprise Asia and Dato’ William Ng, president of Enterprise Asia. The Asia Pacific Entrepreneurship Awards, or APEA, is a regional recognition program organized by Enterprise Asia, an association and thinktank for entrepreneurship in the region. The Awards are presented to a handful of entrepreneurs across Asia Pacific each year, with award ceremonies held in over 12 every year. The Awards is often compared to the Olympics for the stringent entry criteria and highly competitive judging parameters. Nominations of the Awards itself is by invitation, either by past and current awardees, a supporting trade association, or the organizing committee of Enterprise Asia. Nominees are then subjected to a series of rigorous tests, including financial verification by an appointed audit firm and a compulsory physical site audit and interview, culminating in a secret balloting process by Enterprise Asia's organizing committee. Awardees are expected to be torchbearers of entrepreneurship and business leaders in their respective countries, and adhere to a strict standard of personal and business ethics. "We can say with certainty that the recipients of the APEA are like none others. Not only do they have to prove their entrepreneurial skills and experience in one of the toughest contests in the world, they also subject themselves to a pledge to uphold the highest standards of entrepreneurship, which includes allegiance to the two founding pillars of Enterprise Asia, namely Investment in People and Responsible Entrepreneurship", says Enterprise Asia president Ng. The final 18 were announced by Enterprise Asia at the awards ceremony in Manila at InterContinental Hotel. Among the recipients were Tony Tan Caktiong, chairman of Jollibee Foods Corporation receiving the title of Entrepreneur of the Year, and Vivian Que-Azcona, president of Mercury Drug Corporation as Woman Entrepreneur of the Year. For its second year in the Philippines, the APEA has recognized the business leaders of the region as the drivers and backbone of its economy. The recipients in the Philippines were selected from among 200 shortlisted candidates, ranging from talented young entrepreneurs to experienced industrialists. It is through this recognition program that Enterprise Asia hopes to continue to encourage and stimulate economic growth throughout the region. Ng explained, "The APEA is aimed at promoting entrepreneurship. Beyond recognizing the efforts of these entrepreneurs, we hope to encourage them to continue taking their businesses to the next level, and in the process, providing more job opportunities to the people in the region, and help to drive the economy forward." The 18 truly deserving individuals were awarded under the Most Promising, Outstanding and Special Categories of the Awards, representing various industries and focus areas. Carolina S. Osteria, managing director, ACM Landholdings, Inc.
Dr Milagros O. How, executive vice president, Universal Harvester, Inc.
Esther A. Vibal, chairman, Vibal Group, Inc.
Abelardo M. Tolentino, Jr., president & CEO, Aidea Inc.
Jose Maria P. Zabaleta, president, Bronzeoak Philippines, Inc.
Beverly Morales Dayanan, founder & CEO, Contempo Property Holdings Inc.
Ramon Garcia, Jr., CEO & president, DFNN, Inc.
Haile Pargad B. Biteng, chairman & chief operating officer, Fountainhead Technologies, Inc.
Engr. Leonora B. Salvane, vice president & chief operating officer, GTCosmetics Manufacturing, Inc.
Glenn Z. Estrella, board member, Yondu, Inc.
Enterprise Asia is a non-governmental organization in pursuit of creating an Asia that is rich in entrepreneurship as an engine towards sustainable and progressive economic and social development within a world of economic equality. Its two pillars of existence are investment in people and responsible entrepreneurship. Enterprise Asia work with governments, NGOs and other organizations to promote competitiveness and entrepreneurial development, in uplifting the economic status of people across Asia and in ensuring a legacy of hope, innovation and courage for the future generation. 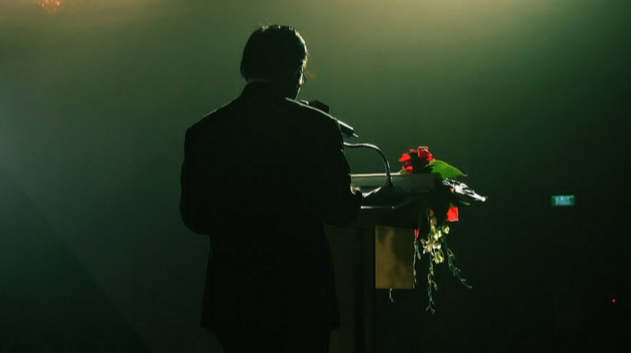 Launched in 2007 the Asia Pacific Entrepreneurship Awards are the region's most prestigious awards for outstanding entrepreneurship, continuous innovation and sustainable leadership. The Awards provide a platform for companies and governments to recognize entrepreneurial excellence, hence spurring greater innovation, fair business practices and growth in entrepreneurship. As a regional award, it groups together leading entrepreneurs as a powerful voice for entrepreneurship and serves as a by-invitation only networking powerhouse. The program has grown to encompass twelve markets all over Asia.